The extent to which your employees feel engaged at work has a huge impact on your organization. Engagement is, at its simplest definition, the extent which employees feel as though they are personally involved in your business’ success. When employees share the organization’s goals, values and beliefs and understand how their specific role can help achieve this, and also feel that overall the company is a good place to work, they’re more likely to be productive, which in turn means more profits and less mistakes. Unfortunately, many organizations have poor levels of employee engagement which can mean high staff turnover, low levels of morale, high rates of absenteeism and “presenteeism”, more likelihood of costly mistakes, and lower profits, productivity and levels of customer satisfaction as a result. In fact, according to Gallup, around 68.5 per cent of employees in the United States are not engaged in their current roles, and within this group of people 17.5 per cent describe themselves as “actively disengaged” which means they are undermining the success of their employers. Actively disengaged employees are a source of unhappiness and lower morale in any workplace, with their toxic attitudes and negativity affecting other staff. 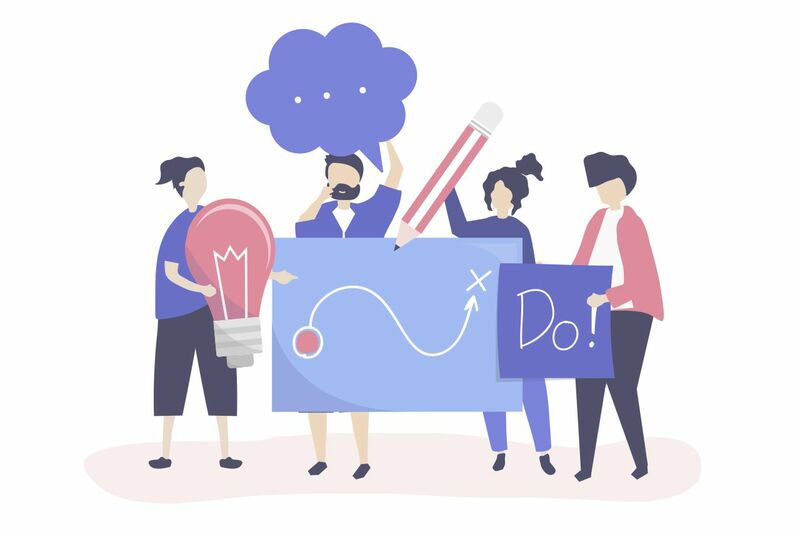 If you haven’t been working on employee engagement in your company, or you know that there is a lot of work you need to be doing but don’t know where to start, now is the perfect time to take stock of where you are at so you can make 2019 a much better year for your staff and your organization as a whole. There are many things you can do to improve engagement within your company. Your first port of call should be to develop a comprehensive employee engagement strategy that outlines how you will achieve this and what actions, steps and processes you will follow in order to do so. Whether you’re developing a new strategy or reviewing and fine-tuning an old one, it’s a good time to look at what trends are being followed by human resources professionals around the world to boost engagement in their organizations. Your executive team set the standard for your organization. If they aren’t actively committed to providing real leadership and inspiring, motivating and mentoring employees, acting in an ethical manner, listening to feedback and being transparent, then your employee engagement is going to fall over at the first hurdle. Managers have the ability to influence their employees both positively and negatively. Having a terrible boss is one of the main reasons that employees become disengaged and eventually quit a company. When a manager inspires their employees and acts with integrity, employees are more likely to want to continue working with and for that individual. Your management team should not only lead by example, but they should ensure they recruit the right staff who are the right cultural fit for your engaged and enthusiastic workforce. For many years now work/life balance has been a highly sought after goal for many employees. Whether you have parents who need to juggle caring responsibilities around school hours and vacations, or people who simply want to spend less time cooped up in a traditional office environment, granting flexibility to workers can definitely boost their morale and make them feel more engaged. A 2018 Canadian study found that 77 per cent of employees believed flexible working arrangements have had a positive impact on their productivity. Flexible working can include allowing parents to have different start and finish times, more paid or unpaid vacation days and work-from-home arrangements. This approach also recognizes that many jobs simply don’t require everyone to commute into the office to work from 9 until 5 every day. Cutting this time out can give employees back more hours in their day to pursue personal priorities, and also a sense of satisfaction they aren’t contributing to gridlock, congestion and environmental issues. Internal communication is one of the driving forces of employee engagement in any organization. When your employees are clear about what is happening within your company and what your strategic goals are, they are more likely to be able to help you achieve your desired results. When communication breaks down, employees can feel directionless, resentful and confused. Working to improve internal communication should always be a top priority for your organization, but it can come with its own set of challenges. Even when you have the best of intentions and create information to share with your employees, traditional digital communications channels are problematic. Many employees suffer from “email overload” and don’t even open most of the messages crammed into their inboxes. Finding new ways to communicate with your employees can help to solve this issue. 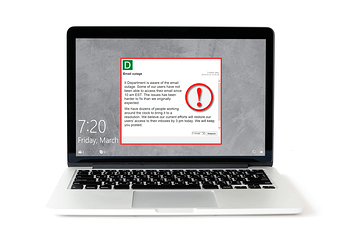 A great example of a system that penetrates and reaches employees is DeskAlerts - a software solution that sends pop-up messages direct to your employees’ desktop screens. DeskAlerts cuts through the digital clutter and reaches your staff where they spend the majority of their time - in front of their computers. Messages can’t be minimized, skipped or ignored. You can send to custom, niche groups of employees, or send to the entire organization. There are numerous features that can be included such as mobile apps to send to smartphones and tablets, an RSVP function, surveys, polls and quizzes module, statistics to let you determine who has seen your messages in real time, and much more. Gamification is being used by many companies to engage their customers, increase sales, build referral campaigns and boost their number of followers. It’s also on the rise with many companies using this method to engage their employees. You can gamify aspects of your non-core business such as having competitions among staff to see who meets sales targets, social functions, mentoring or fundraising for charity. Competition encourages employees to work harder, have fun, and build good relationships with their peers.